MacKee, E.D., Nordin, C.F. and D. Perez-Hernandez (1998). "The Waters and Sediments of the Rio Orinoco and its major Tributaries, Venezuela and Colombia." United States Geological Survey water-supply paper, ISSN 0083; 2326/A-B. Washington: United States Government Printing Office. Weibezahn, F.H., Haymara, A. and M.W. Lewis (1990). 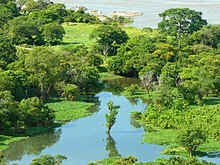 The Orinoco River as an ecosystem. Caracas: Universidad Simon Bolivar. Rawlins, C.B. (1999). 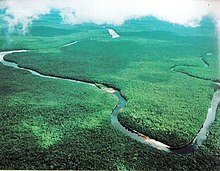 The Orinoco River. New York: Franklin Watts.